I can’t resist. I simply love time-travel movies. The concept has always been so attractive to me that, when something of the like comes out, I really do try to give it the time of day. Maybe it’s the epic adventure? Maybe it’s the many possibilities that the genre can achieve? It’s just all really interesting for me. So when I heard about this movie called Synchronicity, I thought it was worth checking out and, if you share my love for the genre, you may just want to take a look as well. 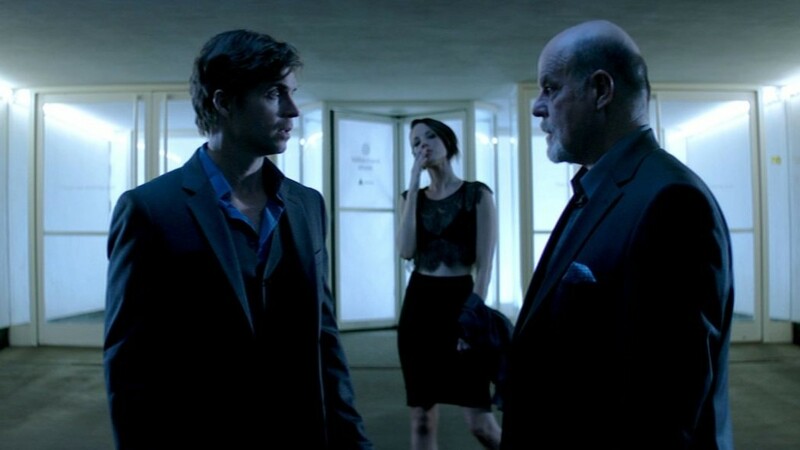 Synchronicity is a ‘Sci-fi Noir’ film about the intricacies of time travel. In terms of look and feel, it takes a cue from movies like Blade Runner and Dark City. The general premise is that a physicist, Jim Beale, invented a machine that can punch a hole through the proverbial space-time continuum and traverses in it. The machine, however, has a rather exquisite taste in power consumption, (a radioactive fuel called MRD) so Jim is forced to deal with venture capitalist Klaus Meisner who becomes enamored with the machine and will now stop at nothing to get his invention & profit from it. There’s also this very mysterious woman flirting with our hero – to add just a little bit more complexity to our hero’s plot. Ultimately, Jim travels back in time to uncover the conspiracies surrounding his endeavor and tries to put a stop to it. In terms of time travel movies, it’s the type of film that deals with multiple existences as well the kind that makes you ask questions about the theories and principles the movie touches on. Overall, I think time-travel movie fans should consider watching this. Check out the trailer below. Starring Chad McKnight, A. J. Bowen, Brianne Davis, Scott Poythress, and Michael Ironside. The film is directed, and written by Jacob Gentry. The movie premiered last 2015 at the Fantasia International Film Festival and will have a limited release in theaters and on video on demand and iTunes this January 22.